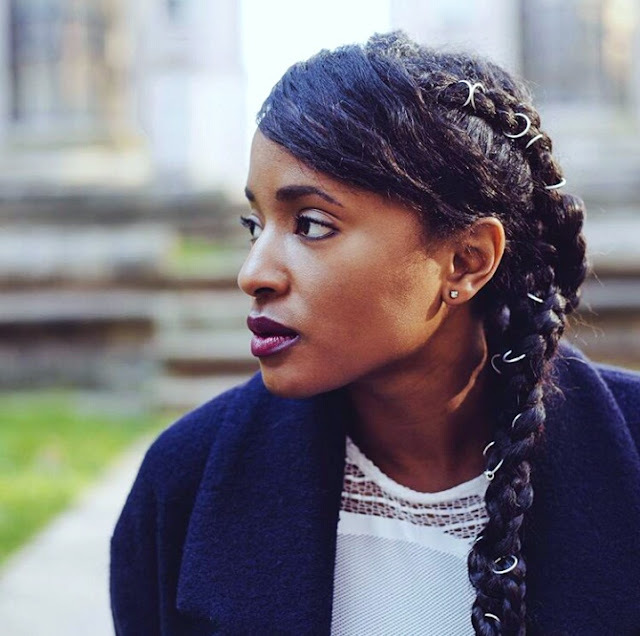 I found hair rings very interesting so I decided to make a research and I realized it was slowly but steadily becoming a trend. 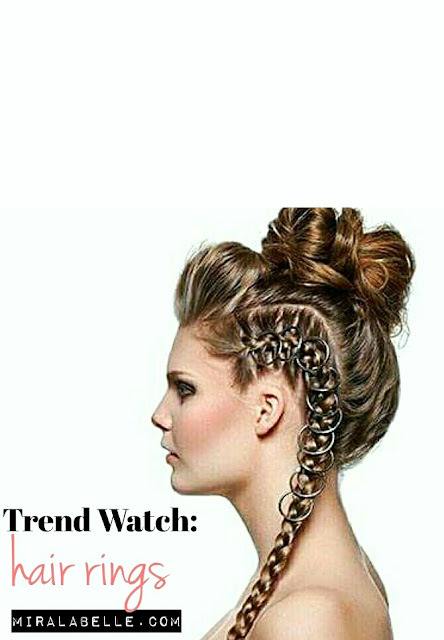 Rings have been making serious waves since 2014 and apparently will continue to do so seeing as the ring trend has extended to hair as well. I feel they're like silver thinner hair beads. Or may be the hair version of hoop earrings. Ha Ha. I'm not sure what I think of them yet but I find them edgy and I've always liked edgy. Before taking on this trend, a few tips. Start with one to three hair rings. When you're feeling bolder, you could increase the number. I've found that with trends like this, it's better to start with small doses. What's the thing all the pictures have in common? 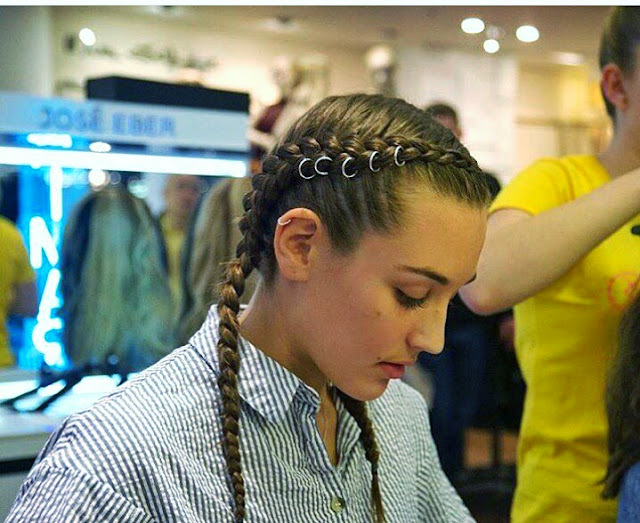 I'm sure there are other ways they could be styled but I quite like the braid approach-funky and safe. I feel this trend would only work in a fashion forward environment or a very casual one. I don't see this working in a corporate environment. - Keep other accessories to a minimum. This mostly refers to other facial ring though. Hoop earrings, septums, with a lot of hair rings would look like too much, wouldn't it? Unless everything is kept to a minimum anyway. It's all about balance. 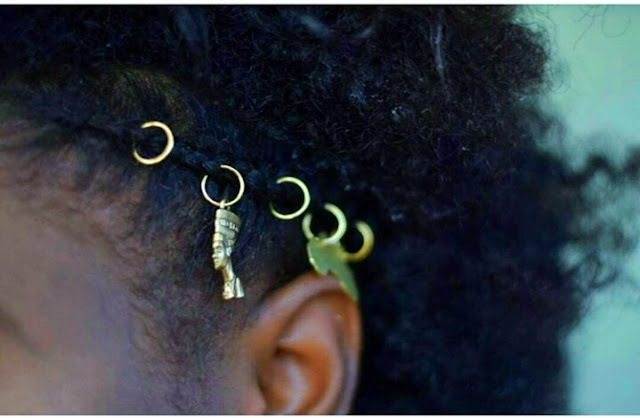 Would you wear hair rings? I think I would. Emphasis on think. I like this. I should try this soon. Yay! Heard they're quite expensive though. I might try a DIY. I'm already in love with them. And don't you think they would be so easy to DIY? Definitely, not the one in the first pic tho. Can totally rock it. Lol. The first picture is actually too out there and I wouldn't do them either. Im hitting you up with shots when i the hair rings trend. The Gold rings with the pendent thingies are really making me want to DIY right now. Thanks for posting...Its my birthday today. Yes! They remind me of the braid hair clasps too! Love your blog BTW. Ah, I love being a woman, our fashion is limitless, no dull moment at all.